In an attempt to get today’s 18ft Skiff Major A. Frizelle Trophy race started, race officials trialled a new scheme when they directed all teams to use their ‘Storm’ (#3) jib and reef their mainsail by 800mm. 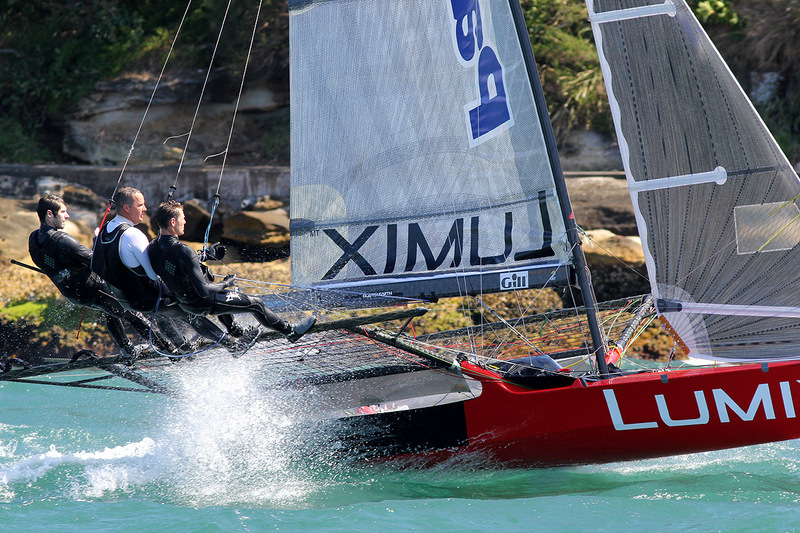 Race officer Doug Cameron said it was an ideal opportunity to trial the new scheme. 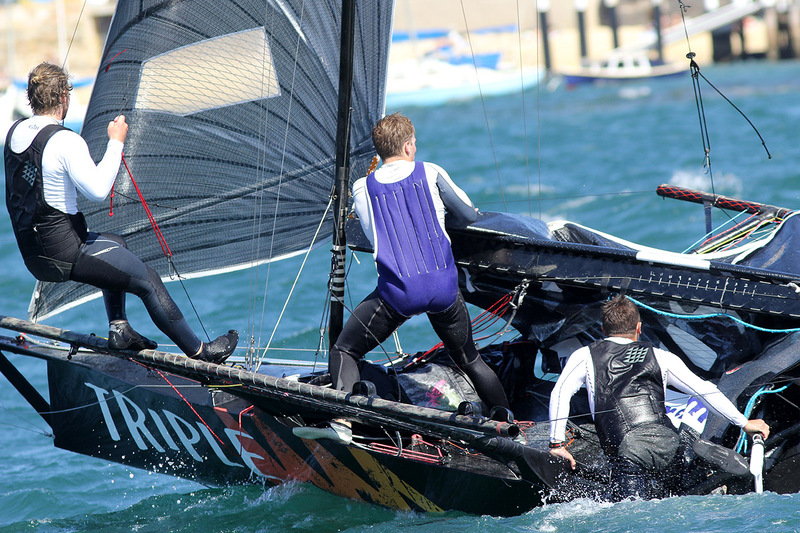 Despite their efforts, the conditions were so strong that many teams either didn’t leave the rigging area or were in trouble before the race was due to start. 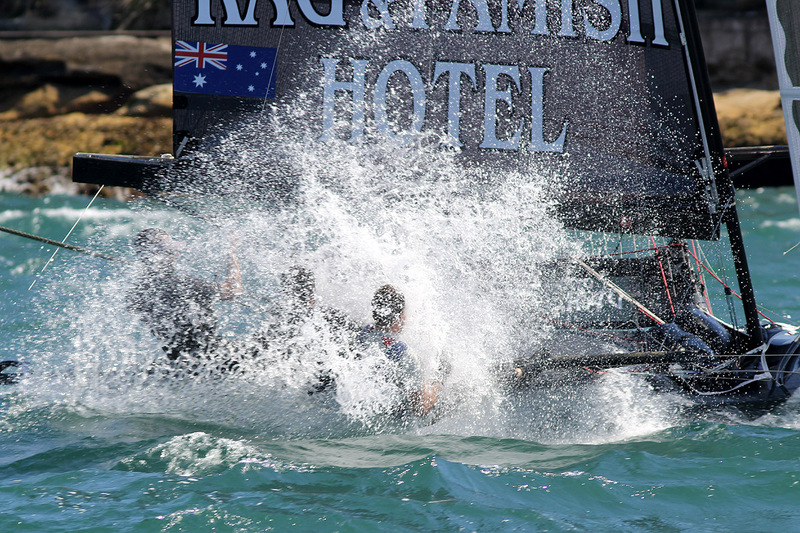 The forced delay resulted in more problems as those on the harbour were battered by the wind. While at least two teams suffered broken masts, the Thurlow Fisher Lawyers team put on a spectacular show for the spectator ferry patrons. 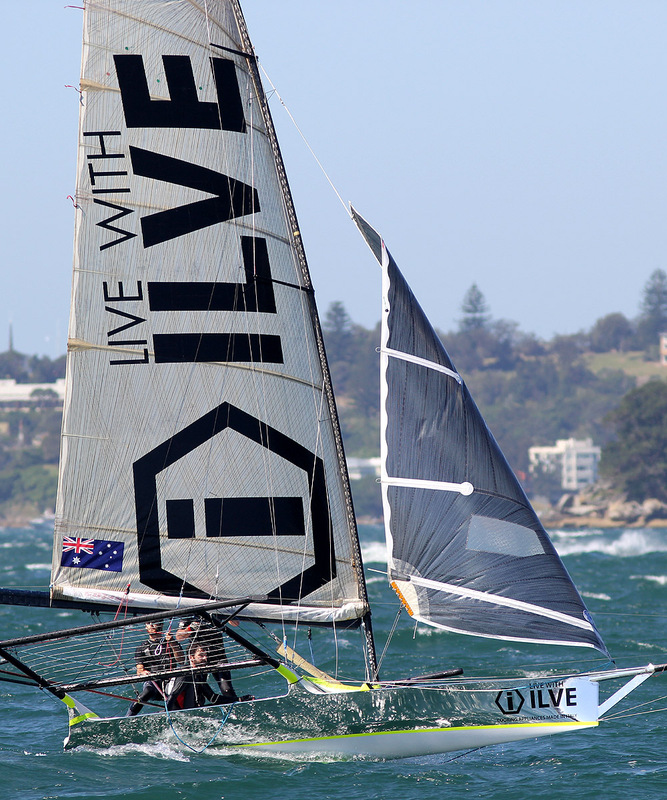 After the race was finally abandoned, Michael Coxon, Dave O’Connor and Trent Barnabas decided to sail towards Sydney Heads then drive their skiff downwind back towards the Opera House. Patrons thrilled as the crew drove the skiff at full speed down the near deserted harbour. 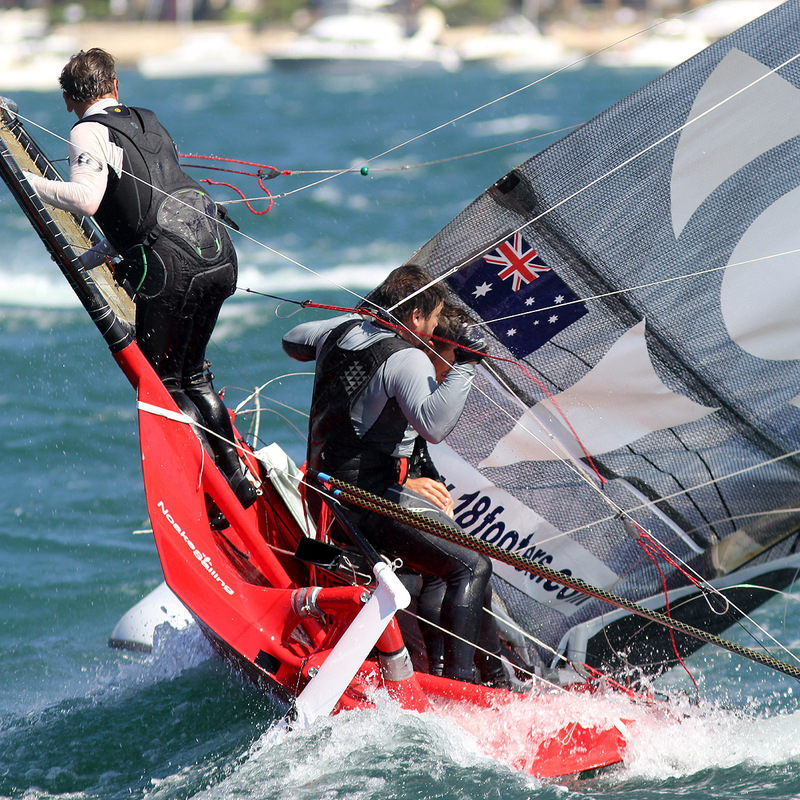 It was quite an exhibition of power sailing. The Alf Beashel Memorial Trophy race will be sailed next Sunday. 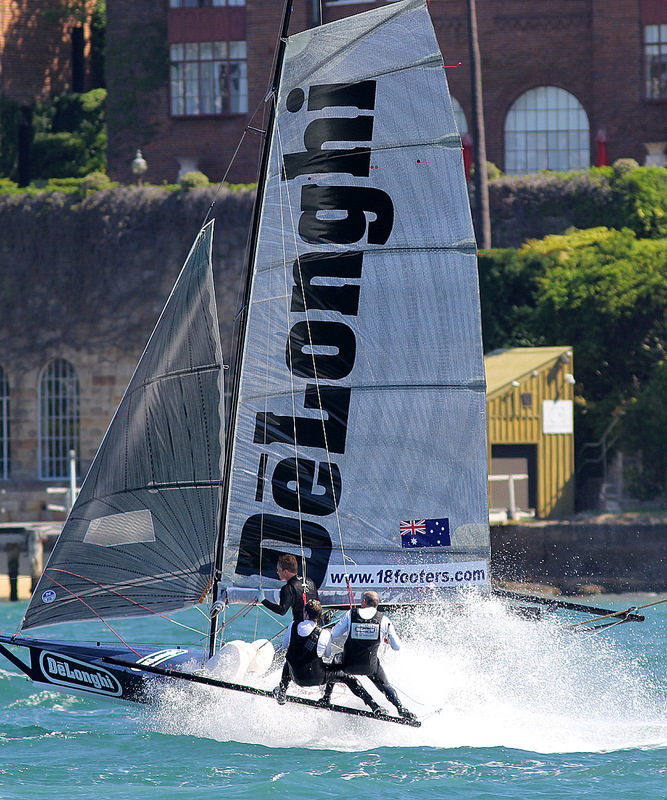 The Australian 18 Footers League will have its usual Spectator Ferry available throughout the entire 2016-2017 Season, leaving Double Bay Wharf, alongside the clubhouse, at 2.15pm, to follow all the action. 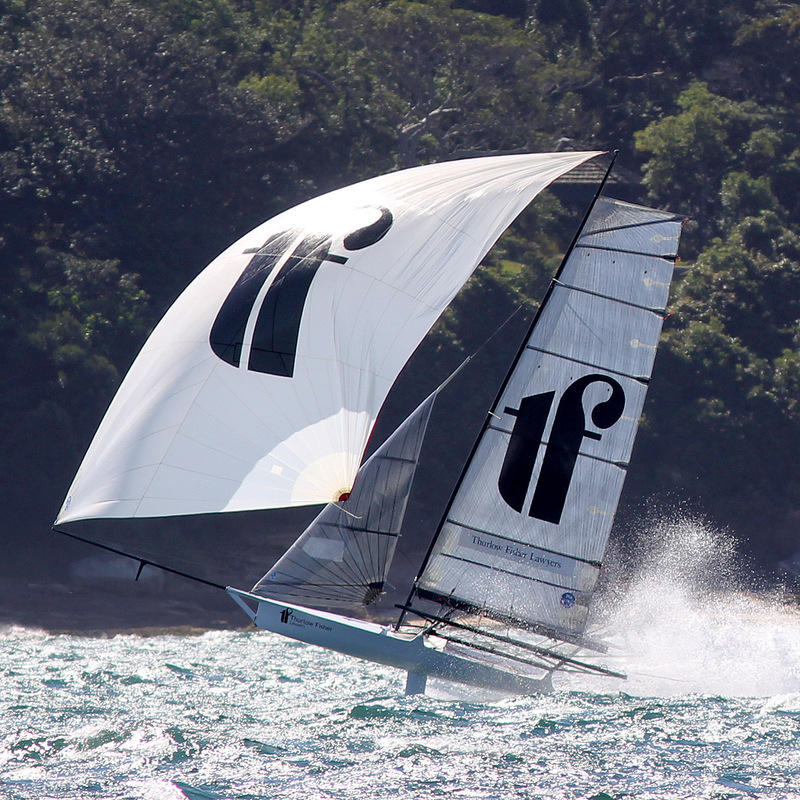 For all the latest 18ft Skiff news go to www.18footers.com.